BACK ON THE MARKET - PRICE REDUCED - This home is located in a convenient location to restaurants, shopping, Legacy Bike Trail, medical facilities, and the many beautiful water features Nokomis/Venice has to offer. The property includes two lots which are zoned for one home. A fenced yard, lots of outdoor space, plenty of trees providing privacy, and a quiet neighborhood will make this the ideal spot for somebody looking to renovate this home or clear the land to build a brand new home.The overhead utilities have been buried underground with a new control panel in the backyard; there is a well with a leased water softener. A septic tank with easy access to cleanout is on the premises. County water is available however, sewer is not at this time.The home is being sold As-Is. It has a lot of interior space however, will need some improvements and renovations OR if you are looking for an oversized yard on which to build a new home, this one may be just the spot. With lovely hardwood trees providing privacy, and only minutes to Shakett Creek, Dona Bay, and area beaches, this location has lots of benefits to those desiring to live within this community. No CDD, HOA, or deed restrictions. 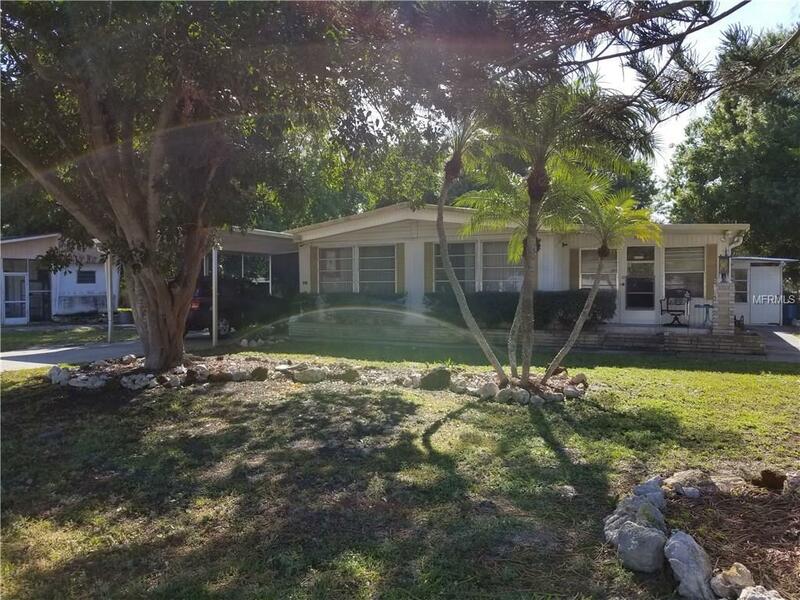 This property is ideal for an investor looking to improve this home for an income producing property, or a builder seeking a perfect lot to build a custom home for someone looking for a new home to call their own. Schedule your appointment to preview or show the home today.